Burberry brings a new edition for its makeup line, the Burberry First Kiss, which is a glossy lip balm. Debuting as a part of the Spring 2016 line of makeup, the First Kiss offers a sheer colour and leaves the lips hydrated. 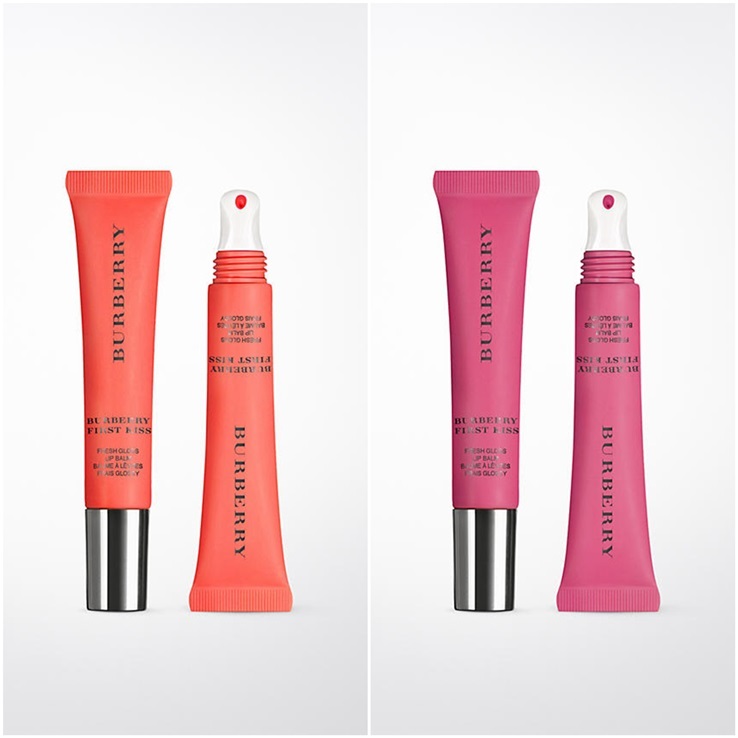 It has a moisturising formula with a glossy finish, perfect for those who don't love lip glosses much, but love a soft tint on the lips. 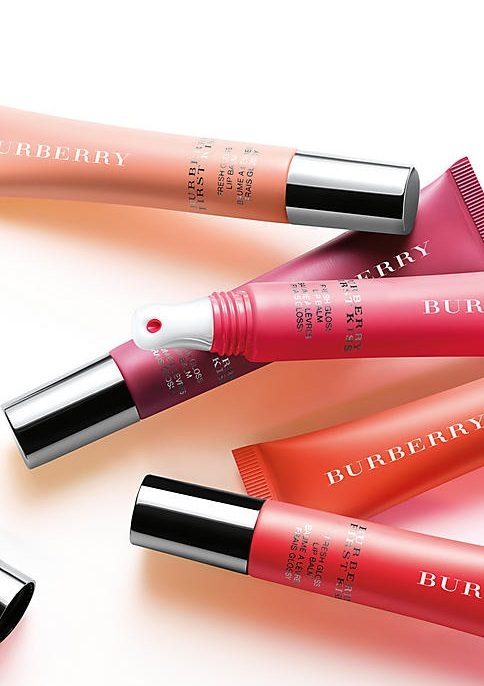 The Burberry First Kiss claims hydration up to eight hours, and comes in five pretty colours; Soft Peach, Coral Glow, Rose Blush, Crushed Red, and Sweet Plum. The tube is easy to carry around in makeup pouches or bags, and has a slanted applicator that makes application easy too. Though it is a tad bit pricey at $26, but one can't go wrong in investing in high end products that offer a great value.